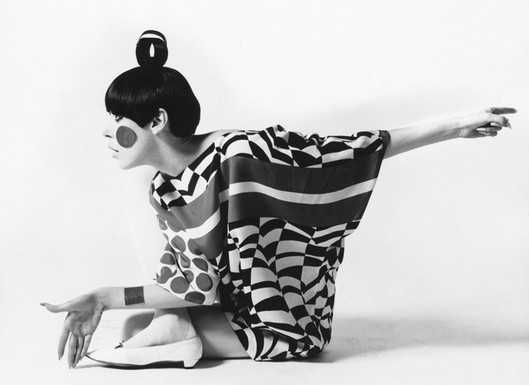 Basic Black was a short film on fashion produced by William Claxon, Rudi Gernreich and Peggy Moffitt in 1967. To see more about this triumvirate, go here. To read more about the film, see the always worthwhile Expo Lounge site. Expo Lounge’s focus is Montreal’s mod Expo 67, but it also contains plenty of contextualization for that era worldwide. This entry was posted on Friday, March 26th, 2010 at 1:55 am	and is filed under design, fashion, textiles, video. You can follow any responses to this entry through the RSS 2.0 feed. You can leave a response, or trackback from your own site.